Singapore is one of the most exciting cities in the world that wonder us with its technologies and innovations. 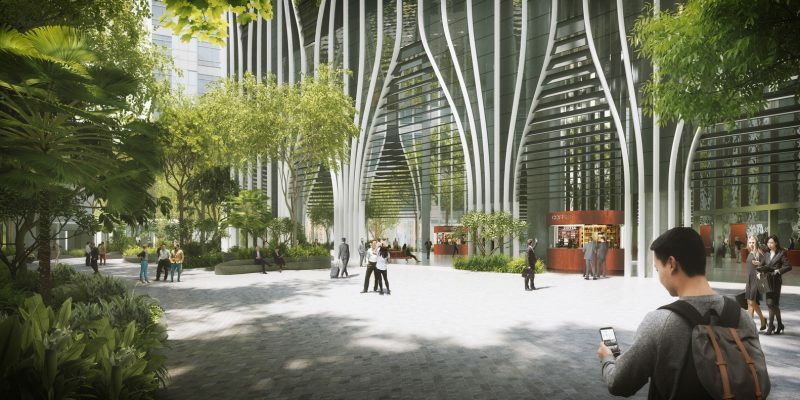 Nexter.org tells about one of Singapore’s tallest buildings that will surprise you with its unusual design. Carlo Ratti Associati and Bjarke Ingels Group recently presented their new design of 280-meter-tall skyscraper which is set to become one of the highest buildings in the small city-state in 2021. It’s perfect for busy city-center that sometimes get tired of grey routine and will have an opportunity to escape in nature. 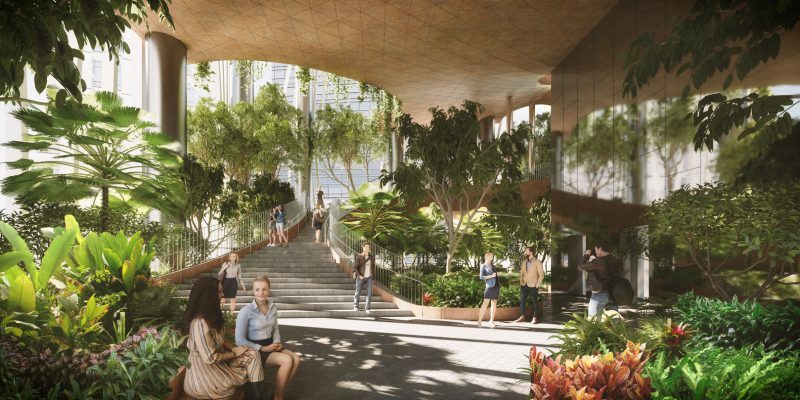 This new building will blend urban life with tropical nature and feature office space, residences, and retail sites. As it can be seen from the pictures green vegetation will seemingly sprout from the exterior of the building, “allowing glimpses into the green oases blooming from the base, core and rooftop,” Carlo Ratti says. And even that’s not all. Visitors will be also surprised to see as they enter the building a “rainforest plaza” and small park. 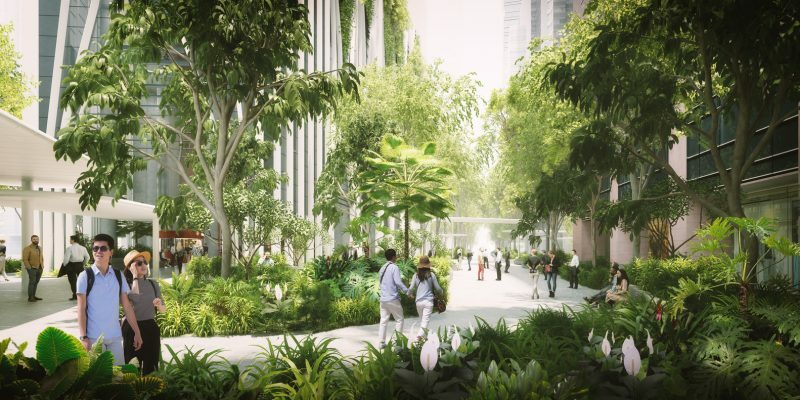 From the ninth floor you’ll find a 30-meter-high space for the “Green Oasis” featuring a “botanical promenade” with views of the interior as well as of the city itself. 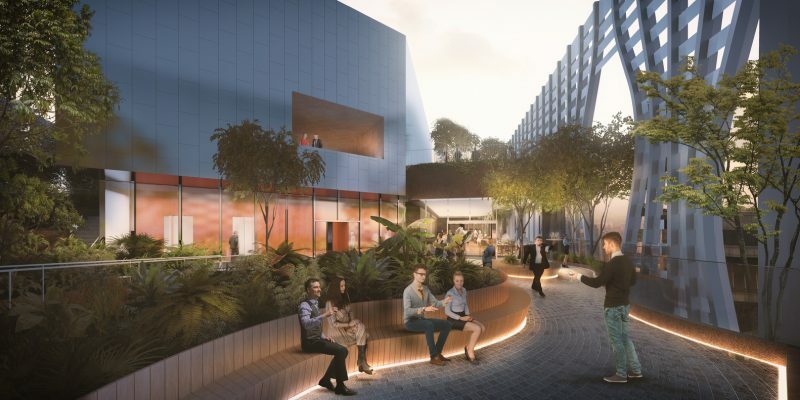 Also inside, the building will include offices, 299 serviced residential units, and ancillary retail space. The Eden Project: The Biggest Indoor Rainforests Will Be Built Worldwide! The Venus Project: Utopia Or Future of Our Сivilization? Singapore is one of the most exciting cities in the world that wonder us with its technologies and innovations. 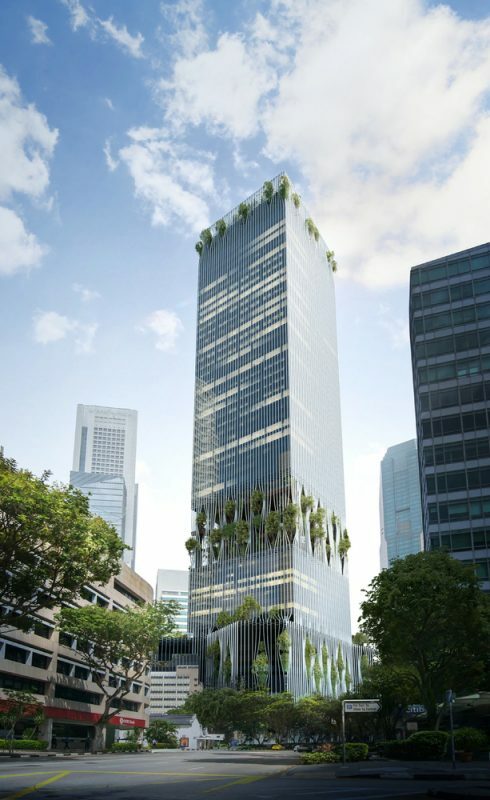 Nexter.org tells about one of Singapore's tallest buildings that will surprise you with its unusual design.